WildWood Properties has helped to make the greater Windham area beautiful and well groomed one property at a time over the last six years. This year, owners Rick and Anne Drapeau plan to expand to give homeowners even more choices for dynamic backyards that make people want to be outside. “We’re still doing the same stuff we’ve always done, hardscape/construction, design, irrigation installs and maintenance but now we are adding outdoor living spaces and lighting,” said Rick. 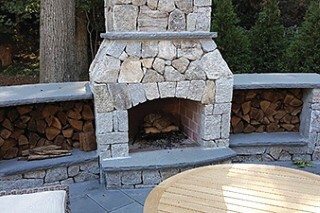 The company hired Rob Sheridan from Cape Cod to work on the total transformation of backyards from patios with firepits to walkways and pools. Sheridan has 10 years of experience with land and hardscaping. Although the weather doesn’t look like spring, WildWood Properties has already begun spring preparations around the stubborn, small snow piles. “The snow is finally trying to melt. We’ve been busy already. It’s not too late to get on the mow route,” he said. WildWood Properties takes care of commercial, residential, associations, condos and church properties. The property management branch of the company takes care of a lot of waterfront camps, helping with annual maintenance, arranging sub-contractors and making sure oil and propane tanks are filled. Seventy percent of the residential customers are year-round residents and only 30 percent are from away, have camps or rental properties in the Windham area, including Raymond and Standish. Commercial accounts are primarily in Windham, but WildWood travels to Raymond, Old Orchard and Cumberland Foreside. One year ago, the company rebranded itself to reflect its new direction. The logo was created by the Drapeau’s niece Renee Holley, owner of The Maine Design. Rick is an associate broker and Anne is an agent at Better Homes and Gardens The Masiello Group in Windham. They help families who are just moving to the area to find a house, do spring cleanup, fall clean up, snow removal and when they are ready, sell the house. “It starts as mowing the lawn and goes all the way through,” Rick said. WildWood Properties considers its customer service its biggest specialty. Being responsive to the customers, doing a great job on their projects and following up after the work has been done is what has made WildWood Properties a standout in the community. If working for a dynamic company is a goal, WildWood Properties will be filling two more positions for maintenance workers for this season. To see pictures of their work, visit www.wildwoodpropertiesinc.com, find them on Facebook, Linked In, Instagram and Pinterest. 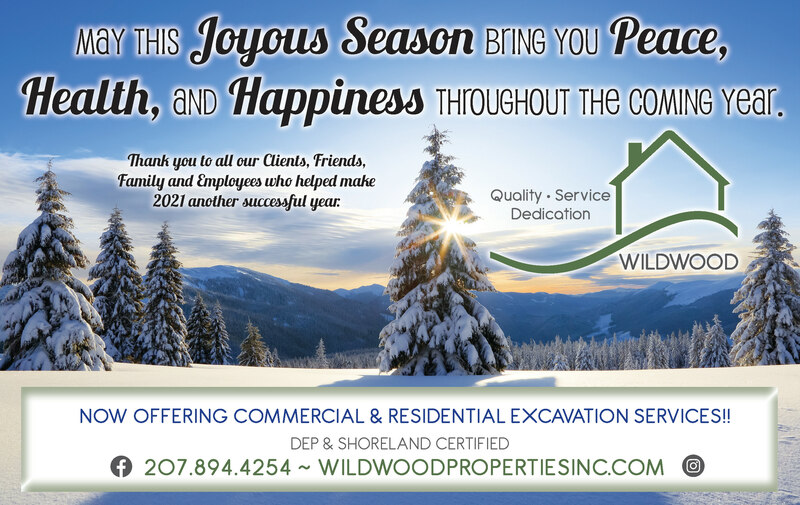 To book ongoing service or for a special project, email Rick@WildWoodPropertiesInc.com or call 894-4254.